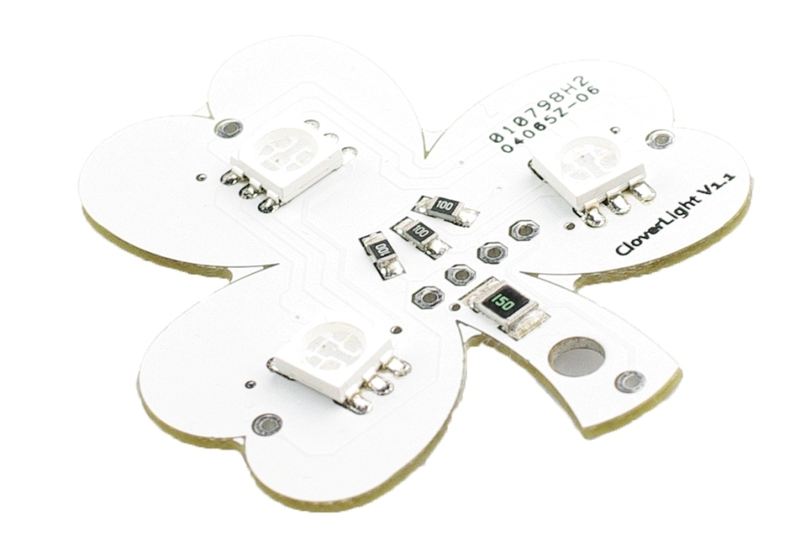 The clover light is a new RGB LED board from DFRobot. 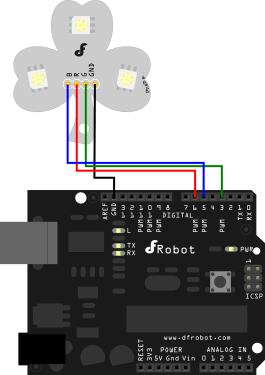 This board connects to PWM pins for control. By pulse-width-modulating the pins any color can be created by mixing different amounts of red, green, and blue. Running from a 5V source, these LEDs are very bright. Applications are unlimited: LED Video Screen array, Signage, PC Case Illumination, Bar/Club lighting, Festive Lighting, Garden Lighting, Arduino project application, and decorations.